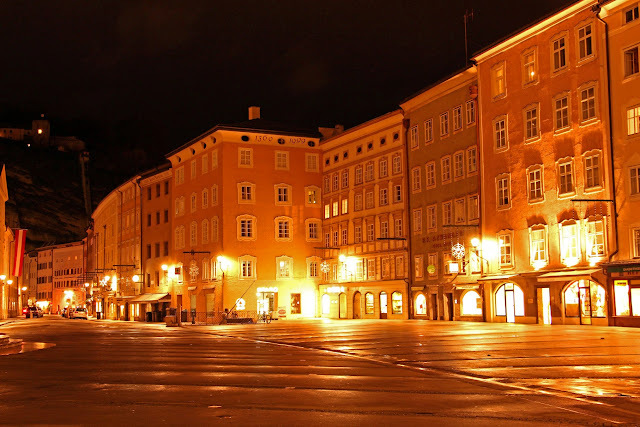 Arriving around 2000H at night on Salzburg station coming from Dachstein bus trips, I hesitated initially if to continue the night shots because city center is around 2 kilometers away and I'm lost and tired to pursue it. Thinking the motto of "Don't waste the opportunity of being here", after dinner from the train station, I walked myself away and just navigate the streets. My train estimated time of departure going to Venice is 0140H, I timed myself to stop strolling and go back at 0000H. Salzburg is a city in central Austria, near the German (Bavarian) border. 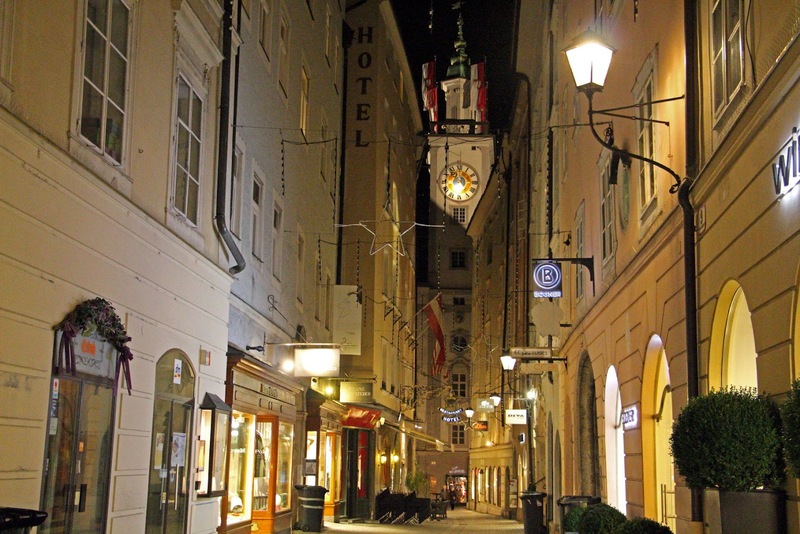 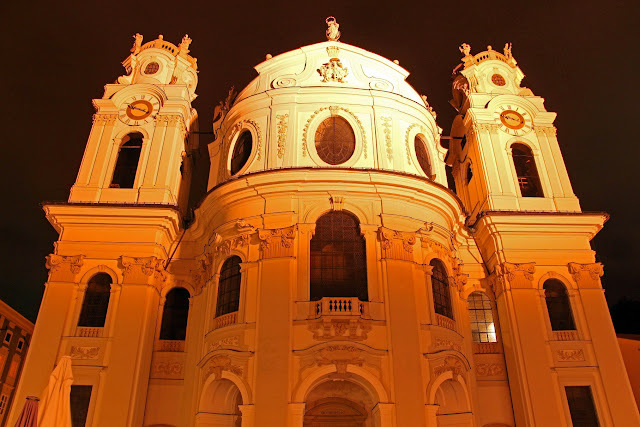 If you have seen the movie The Sound of Music, you may think you know all there is to see in Salzburg. 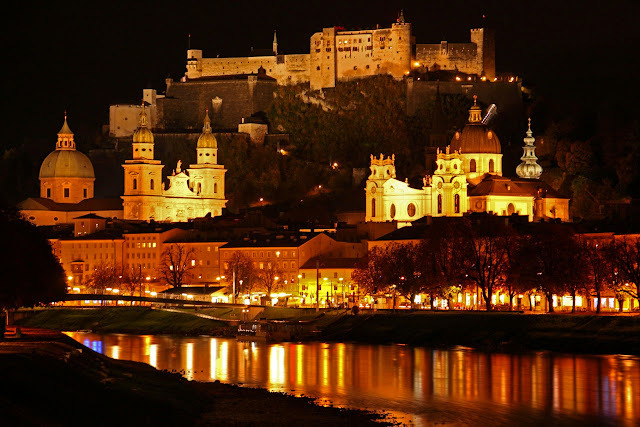 Admittedly, it is difficult not to burst into songs when you're walking along the Salzach River, or climbing up to the Hohensalzburg fortress which looms over the city. 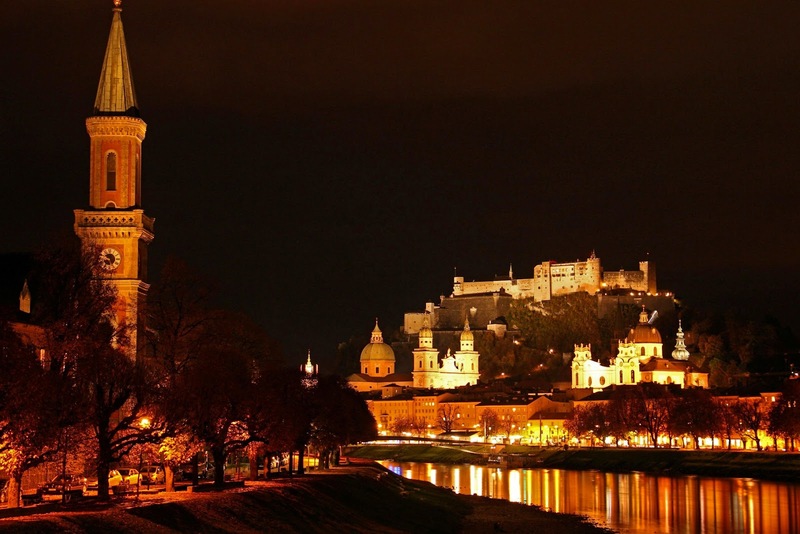 But there is a lot more to this compact, courtly city than Julie Andrews and as Mozart's birthplace.